Avoid Traps That Can Undermine Your Life’s Work! At Donohue O’Connell and Riley, we have had the privilege of working with a diverse and impressive group of clients. Through years of hard work, they have accumulated life savings that they want to protect from taxation, probate and long-term care costs. The assets that made them wealthy are not to simply cash in the bank, or shares in an account, but often things that are more difficult to value: ingenuity, calculated risks, and a bit of good timing. For our clients, the results of this trifecta have translated into ownership stakes in real estate and businesses, fully funded retirement plans, and above all, wisdom gained along the path of life that led to their success. Leaving a legacy is about much more than handing down dollars and cents: it’s about passing on hard-won lessons as well. As the saying goes, it’s not what you make - it’s what you keep. Many of our clients played great offense during their lives - in the form of earnings- and many played great defense as well - in the form of frugality and savings. Let us help you manage your assets strategically and avoid the traps that can undermine your life’s work. 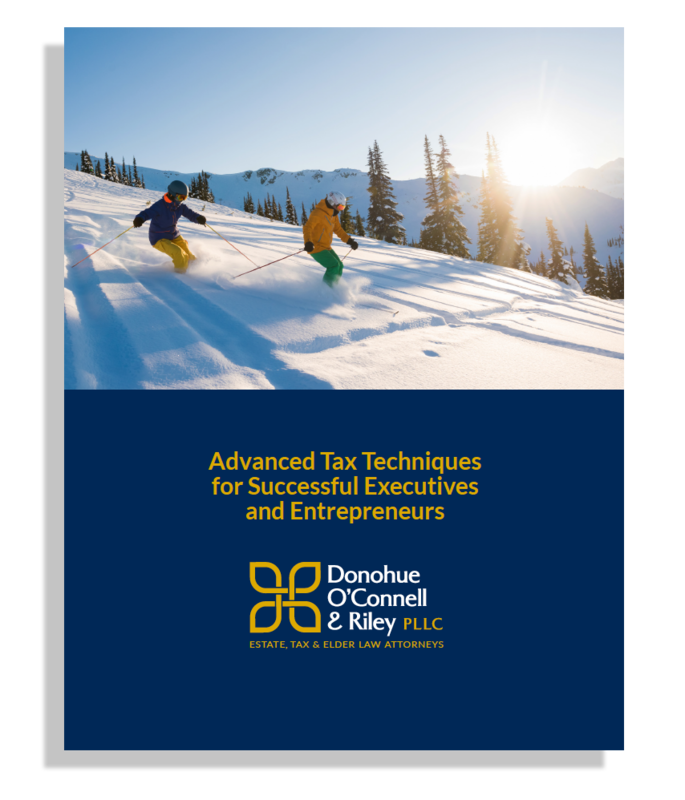 Download our Advanced Tax Workbook to manage your assets strategically and avoid traps that can undermine your life's work.